Purple roses and love go hand-in-hand. Send this special gift to a certain someone you know will surely love them. Presented beautifully in an all-glass vase, this classic sentiment will make your recipients heart sing. 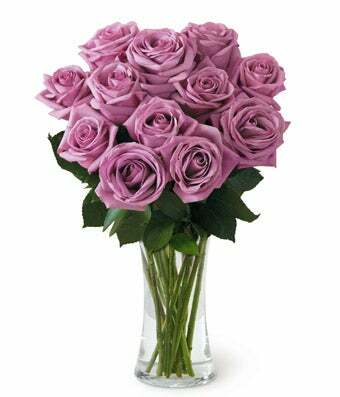 There is nothing as unique in the flower world as a purple rose, so send the one you love dearly this beautiful one dozen long stemmed purple rose bouquet.